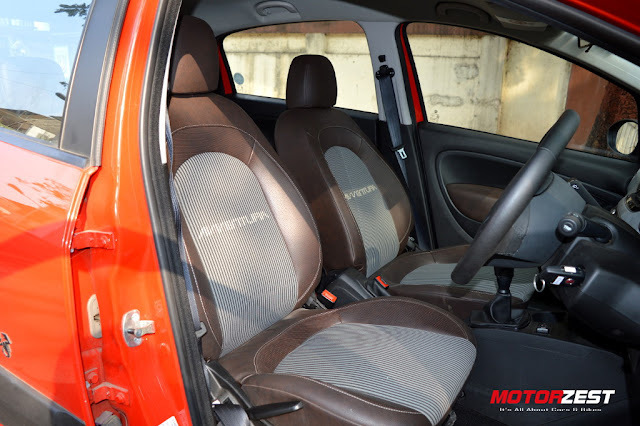 Welcome back folks, this time around we took the Fiat Avventura powered by Abarth for a good spin in and around the Mumbai city for a complete review. Here's what we have to say about it. We tried to make an exhaustive list of all petrol crossovers available in India as of today. 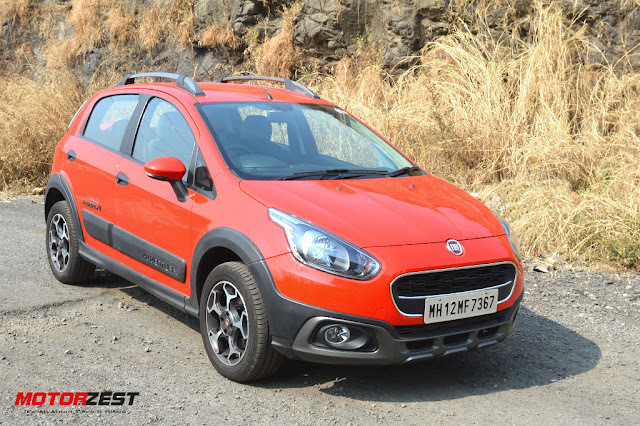 We decided to consider only the top-end variants of all petrol crossovers simply because the Abarth powered Avventura is a fully-loaded car and it makes sense to put it against the best of the best crossover variant other companies are offering. There are in all 8 different (we decided to consider GLA 200 Sport and GLA 45 AMG as two different cars for the sheer gap in technical specs and price between them) petrol crossovers in India that you can buy! 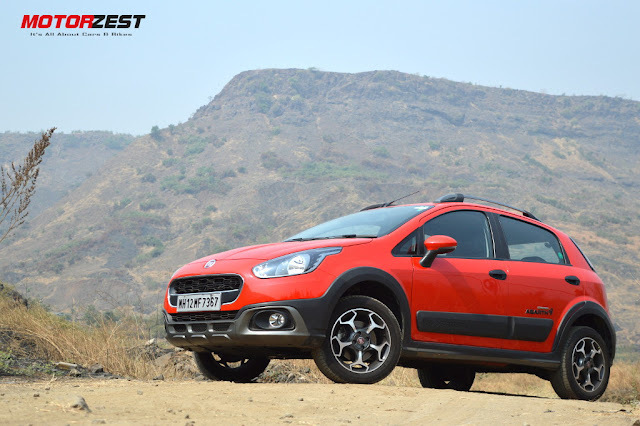 The Avventura powered by Abarth (hereafter referred as Abarth Avventura - for convenience) ranks the 4th best crossover in India in terms of power-to-weight ratio (per 1,000 kgs). We decided to sort all the 8 crossover in descending order in terms of their Power-to-Weight Ratio to find out the most powerful (hot) crossovers. This ratio gives a more accurate picture of the true power of a car. For example, the regular Fiat Avventura at 88.77 bhp has a more powerful engine than Hyundai i20 Active but the i20 Active has a higher power-to-weight ratio thanks to its lighter kerb weight (see the table below). 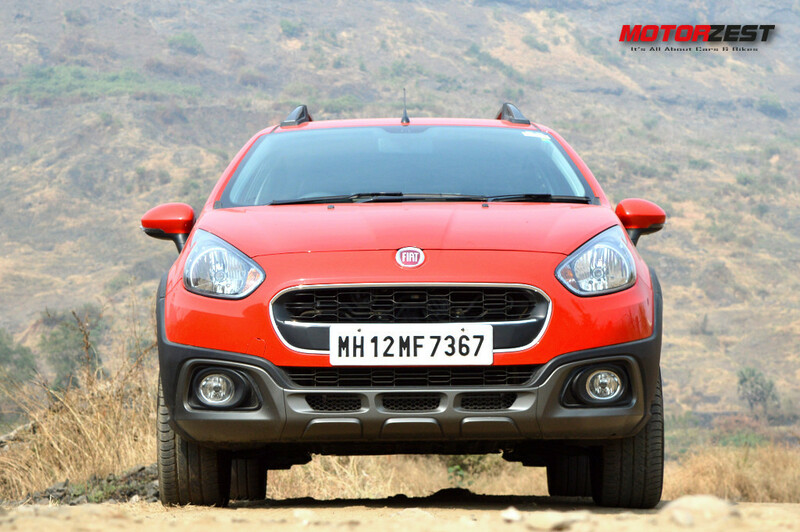 The Abarth Avventura is outperformed (in terms of power) by only three petrol crossovers which cost at least INR 20 lacs more than it. Just for the sake of comparison, there is no competitor for the Mercedes-Benz GLA 45 AMG in terms of power. At 355 bhp, the GLA 45 AMG delivers a mind-boggling power-to-weight ratio of 206.39 which is 87.7 units more than the GLA 200 Sport. But don't forget that it also is INR 41 lacs costlier than the GLA 200. And thus it makes sense to discard these three expensive luxury crossovers from our comparison. Now, when the GLA 45, GLA 200 and V40 are out of the picture, we are left with five petrol crossovers all priced withing INR 10 lacs. And this is why we say that the Fiat Avventura powered by Abarth is the Hottest Affordable Petrol Crossover in India at the moment! At 140 bhp with a power-to-weight ratio of 111.55 the Abarth Avventura is the most powerful petrol crossover in India with Toyota Etios Cross being a distant second. 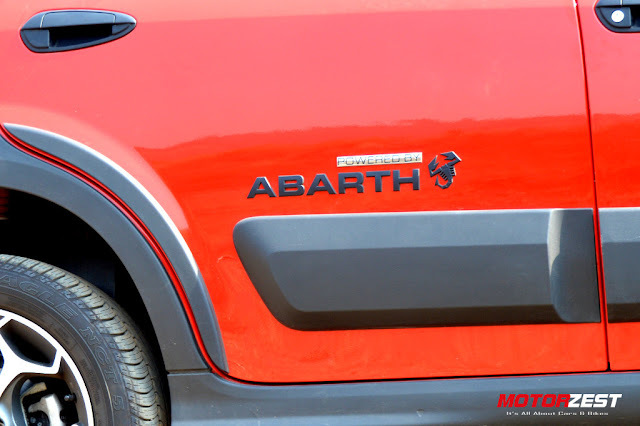 The Abarth Avventura is also the heaviest of the lot and still has a better power-to-weight ratio. And thus on paper, the Abarth Avventura with 140 bhp of max power (51.23 bhp more than the second best) and 210 Nm of max torque (78 Nm more than the second best) is unbeatable in terms of performance and more importantly it doesn't cost a bomb! 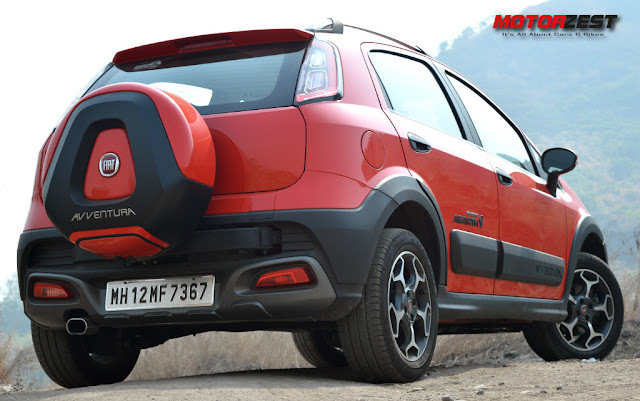 Except for the 16-inch scorpion-shaped Abarth Alloys and a 'Powered-by-Abarth' badge with a scorpion on the rear doors on both sides there is no change in the exteriors compared to the regular Fiat Avventura. No special colour scheme, no fancy graphics, no sporty vinyl trims. The only things that is Abarth in this car are the Abarth Alloys and Abarth tuned 1.4-litre T-jet engine. 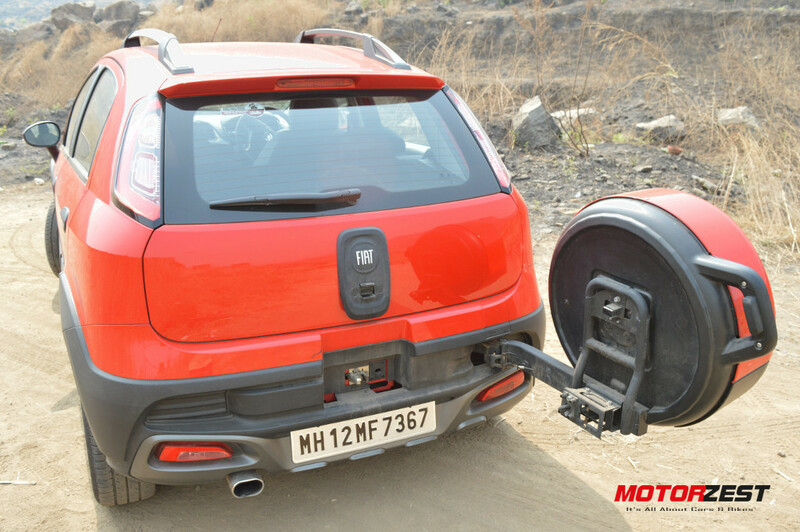 The Abarth Avventura still sports the wheel-on-tailgate design which looks attractive but is really cumbersome to operate. Taking out the stepney (spare tyre) and putting it out on the boot-lid hasn't really created any useful advantage, the boot space is same as that in the Fiat Punto Evo from which the Avventura is derived. The 205/55 R16 Abarth alloy wheels look stunning, there is aggression written all over the wheel design. 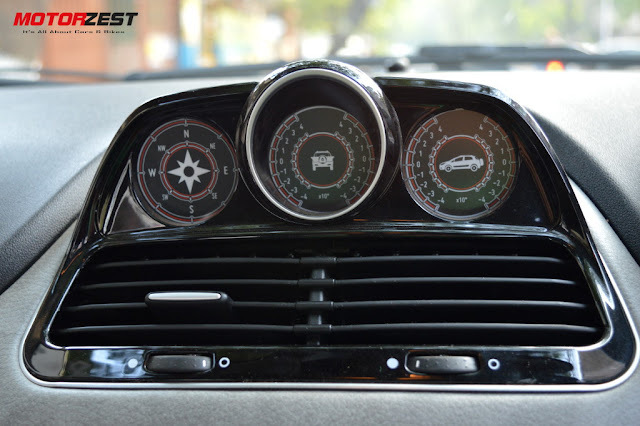 It makes you feel pumped-up as you enter the cabin and ready to burn some rubber on the road. You either completely hate the looks of this car or completely love it, the opinions are extreme. We always consider the design and looks of any car to be subjective and leave it up to you to decide. But love it or hate it, the craftsmanship is top-notch. It is a premium car and is build-like-a-tank. Very few affordable brands can boast of superior build quality like Fiat. 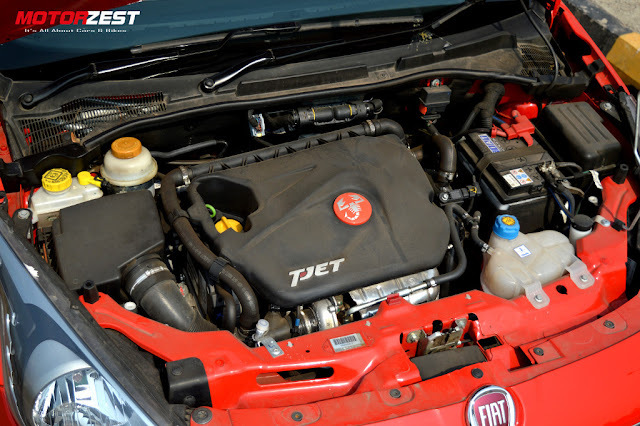 All cars from the Fiat stable have fantastic build quality and rich premium feel to them. 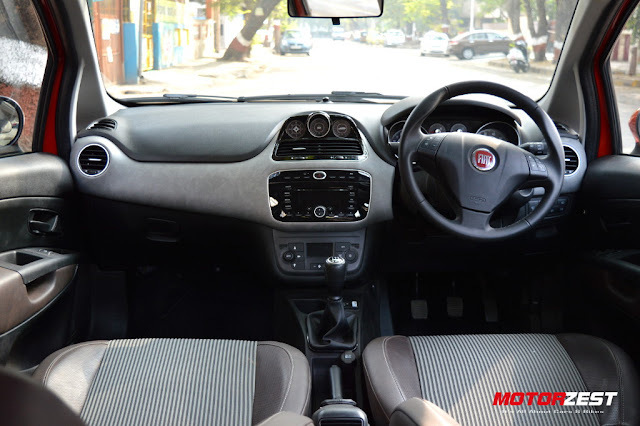 Just like the exteriors, there is hardly any change in the interiors compared to the Fiat Avventura. It sports a Fiat badge on the steering wheel rather than the Abarth badge which is there in the Abarth Punto. Again, clearly stating that this is not a pure Abarth vehicle - it is just powered by an Abarth tuned engine! Good quality materials are used for the interiors. Wherever you touch it gives you a rich premium feel. The only problem with the interiors is the colour scheme - a mix of black, grey and brown is a complete mismatch and looks a bit ugly. Orange LED lights on dashboard decorate the cabin in the night. 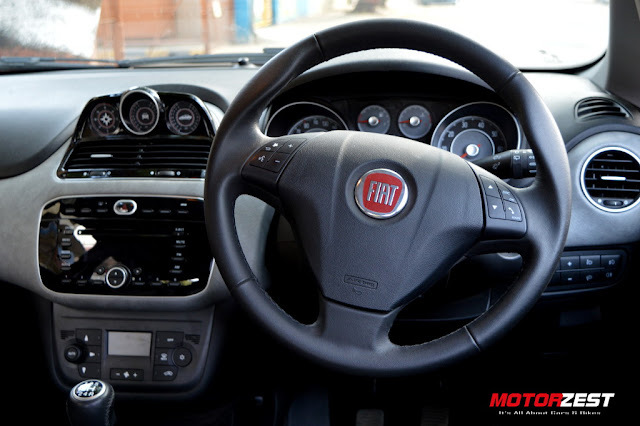 The steering wheel is studded with buttons to control the audio and phone commands. A big glossy infotainment system dominates the centre console, with a digital compass and two high-terrain vertical and horizontal inclinometers. These inclinometers come in handy when you are dealing with a rough terrain. Two big analog dials dominate the instrument panel behind the steering wheel - one indicating the speed and other indicating the engine rpm. Two small analog dials show the fuel and engine temperature and a small LCD display which shows multiple information like time, odometer, mileage, etc. No fancy stuff here, just plain analog cluster made from quality materials giving it a rich and sporty feeling. 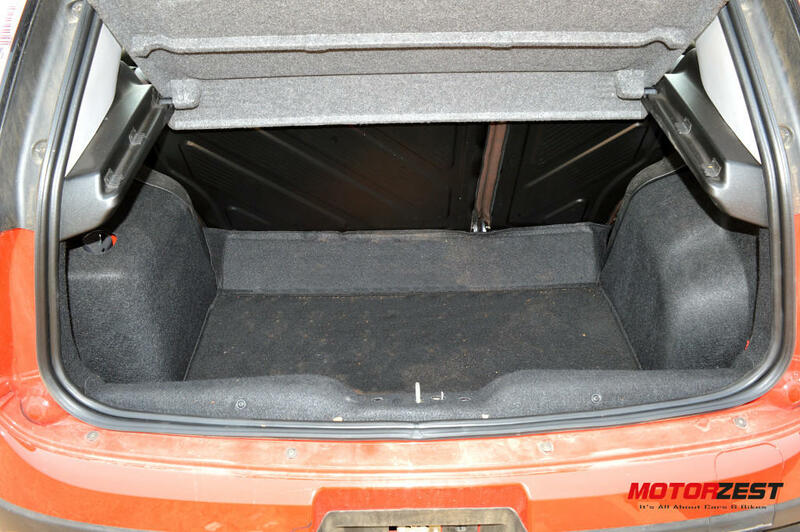 As we mentioned before, putting the spare wheel out on the boot-lid hasn't led to any significant increase in boot-space. In the above pic you can see that the empty space (where the spare tyre should have been) is filled with a tyre-shaped plastic mould which holds the emergency tool-set. The big 205/55 R16 tyres combined with independent coil springs in the front and torsion beam with coil springs at the rear ensures one of the best ride quality you can get at this price point. It flattens out most of the bumpy, broken and pot-hole ridden roads of India, giving you a comfortable ride both in the front as well as the rear. 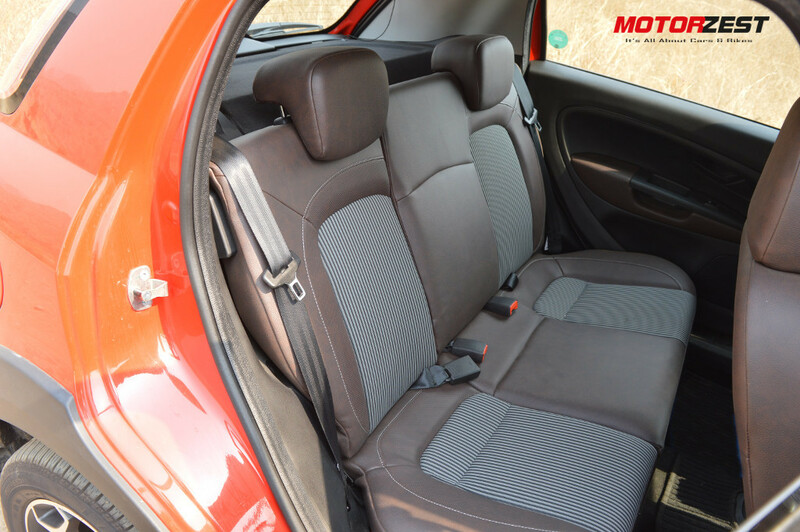 The seats at front and rear offer good support and comfort to the body which is required especially on long rides. Being a crossover, you would be taking this car out for long drives and little bit of off-roading. 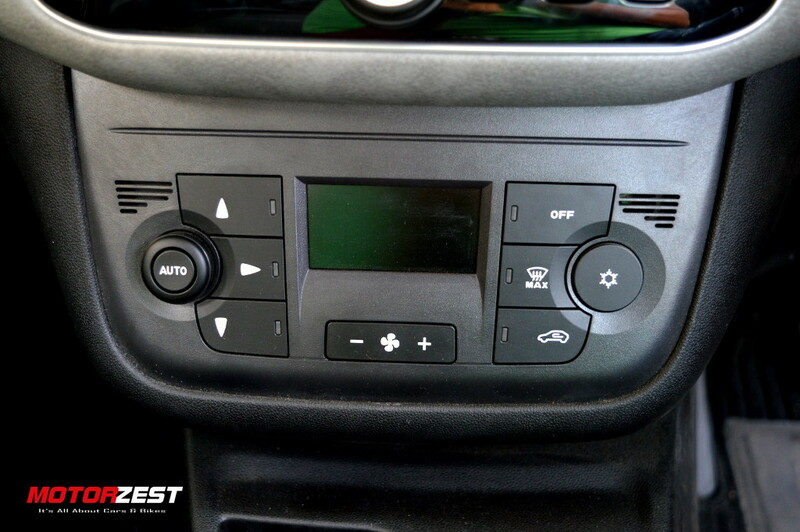 Long drives can be exhausting and thus you need comfortable seating, good ride quality and a good air-conditioning system - the Avventura excels in all these parameters. 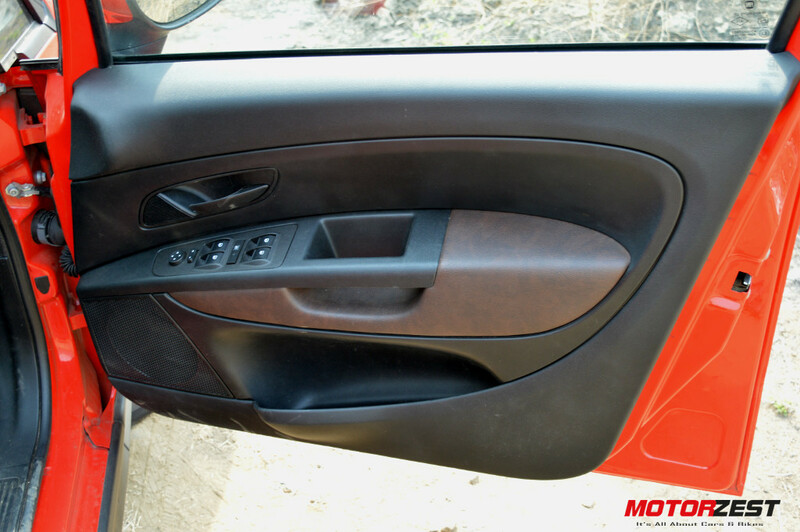 Cooling & heating requirements for the rear passengers are taken care by this rear A/C vent. Below the vent they have given a bottle holder system which can tightly hold any size of bottle upto a litre and can cool your drink at the same time. Both these features do make long journeys a little more comfortable. Arm rests on the door panels are big, practical and give added comfort during long journeys. The door panel also has some space to keep your bottles and other stuff. There is no center arm rest both at the front as well as at the rear bench. Automatic air-conditioning system takes care of all your cooling & heating needs. Set the temperature in the automatic mode and the system takes care of all the other settings. The design feels a little outdated but the controls are easily reachable and are made of good quality plastics. 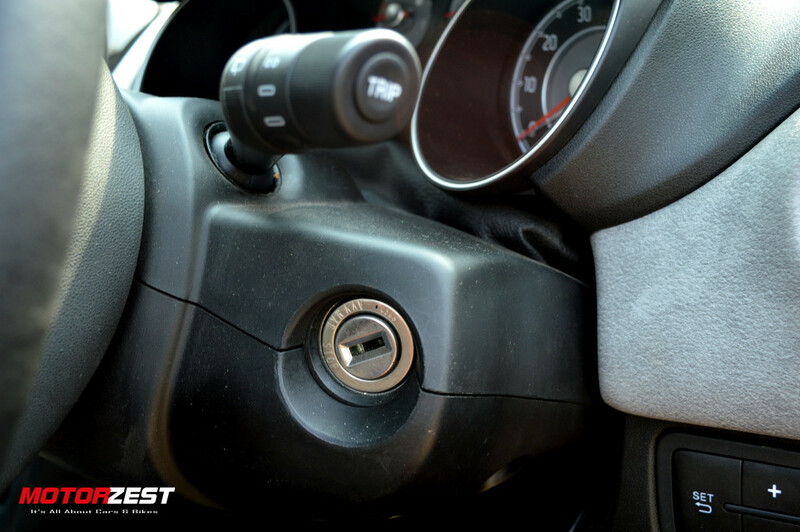 The Avventura ignition system still requires you to interest the metal key behind the steering wheel. A start-stop button, keyless-entry (touch sensors on the door handle), power-fold side mirrors should have been there for the price you pay for this car. The absence of parking sensors really left us disappointed. A top-end luxury vehicle like this should have some kind of parking assist mechanism as standard. Clearly the section that you want to read about this car. This Avventura is powered by an Abarth tuned 1.4-litre T-Jet petrol engine which manages to produces a whooping power of 140 bhp @ 5,500 rpm and max torque of 210 Nm @ 2,000-4,000 rpm and is mated to a 5-speed manual gearbox. Given the weight, dimensions and raw power of this vehicle, the power-to-weight ratio comes out to be 111.55 bhp/tonne which puts the Avventura in the league of Volvo V40 Cross Country (113.42) and Mercedes Benz GLA 200 Sport (118.69). On standalone basis, the 140 bhp Avvenutra is absolutely brutal on itself and the driver. We were struggling to control the steering wheel due to its brutal power delivery from standstill. Torque steer - what the technical nerds call it - is enormous on this front-wheel driven Avventura. Accelerate hard from standstill and you'll get plenty of wheel-spin. Truly a car to satisfy your thirst for raw-power, speed and thrill without burning a big hole in the pocket. The company claims this Abarth powered Avventura can do 0-100 in 9.9 secs, it could be true since we did manage a 0-100 in 10.5 secs with three adult males on board. We managed to touch a top speed of 182 kmph with roughly 237 kgs of human body weight (3 adult males) inside, just amazing! The car is rock-steady at high-speeds and you just cannot control yourself but floor the pedal everytime you hit big empty roads. 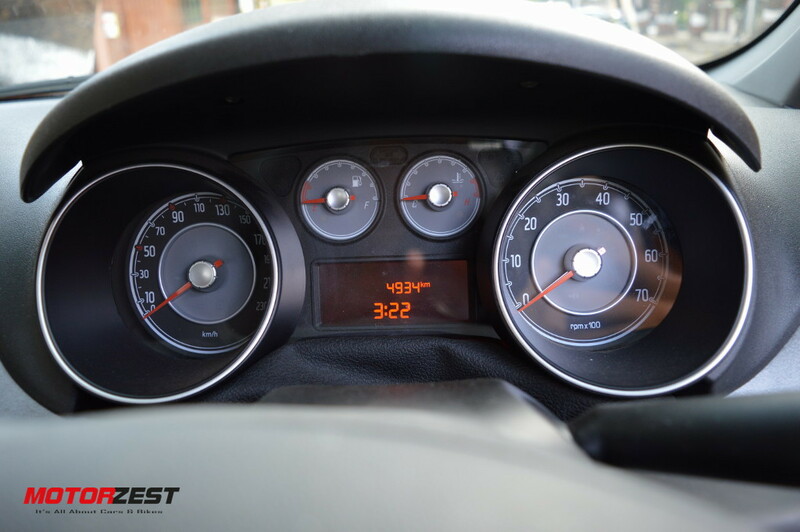 We say the Avventura can effortlessly cruise at 150 kmph in fifth gear, although you can still get a little bored even at this speed. We tried to capture some readings in the speed test and following table shows you the speed of the car at various rpm levels and gear combination. We managed the top speed in 4th gear at around 5,500 rpm. 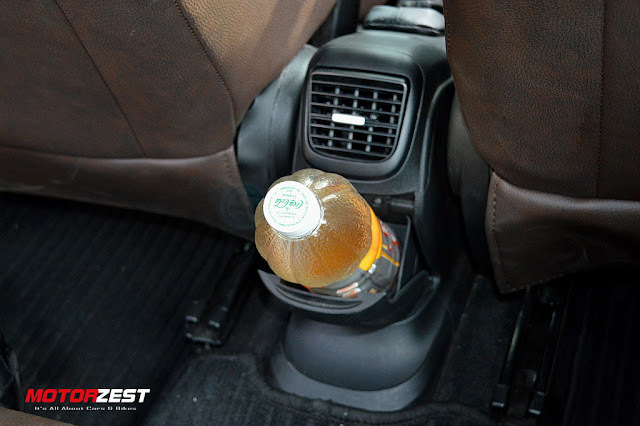 Another great thing about this Avventura is that you don't need to change the gears often. In 4th gear the car can be easily driven from speed as low as 30 kmph to more than 150 kmph. Unless you are caught in a stop-go-stop traffic you can just play between 4th and 5th gear and if need be shift to 3rd to get the required torque. 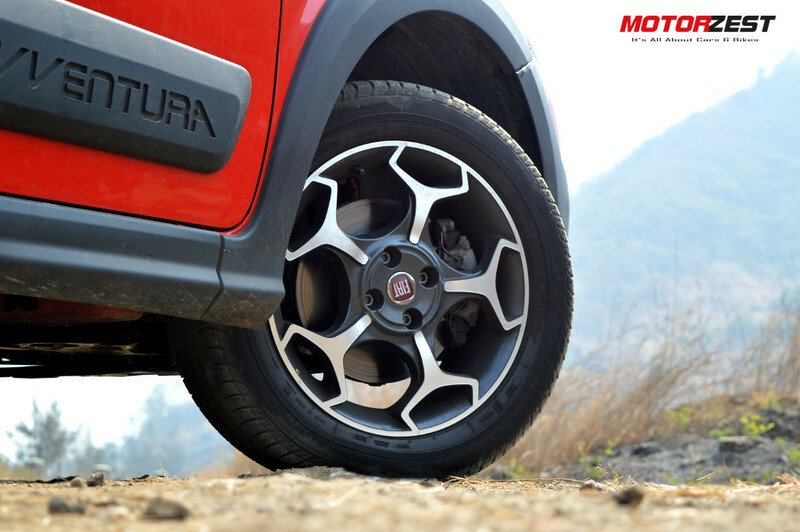 The Abarth powered Avventura is equipped with disc brakes on all four wheels and are powerful enough to control the car at high-speeds. We were impressed with the braking performance and stability of the car under hard braking. But wait, all is not merry with this mean machine. 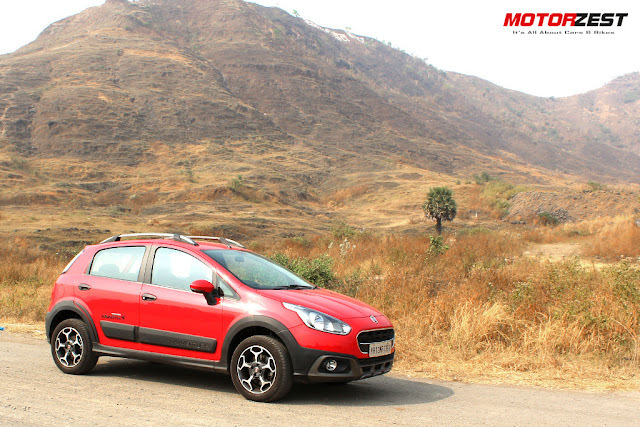 The Avventura struggles a lot to put the power down to the road. Simply put, you need to be very careful while handling the brutal raw power inside this machine. The steering wheel behaves like an unruly kid who just wants to throw off your hands upon it. You need to grip the steering wheel tightly with both hands to control the torque steer and heavy feedback from the bumps on the road. 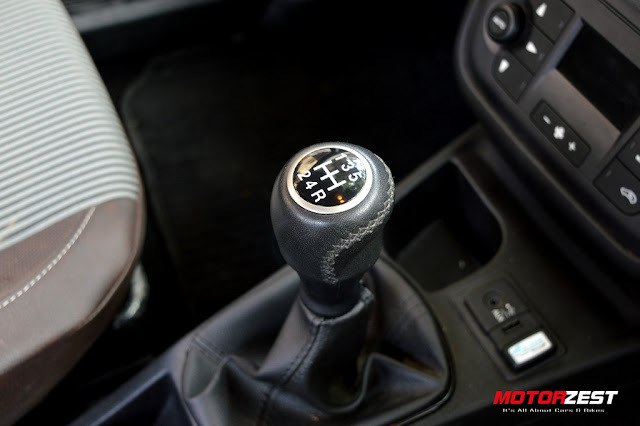 The gear knob, although looks and feels premium, is not easy to operate. Long throw and notchy gearbox makes life little difficult in traffic, it is not the smoothest of all. The gearbox makes you feel like you are driving a hard mechanical race-tuned car rather than a comfortable touring car. Petrol-heads won't complain about it but for the regular drivers it is a bit of pain. Fuel Economy? Don't even bother to put efforts in trying to extract out a good mileage from this mean machine. It is a gas guzzler! During our 4-day long testing we could manage 9.4 kmpl (best) and 7.5 kmpl (worst) mileage figures. You could extract a better mileage figure of more than 10 kmpl but that would require you to drive this machine with very soft foot. In reality, with such power under the hood you would hardly be able to resist the temptation of going flat out and 10 kmpl would then be a distant dream. 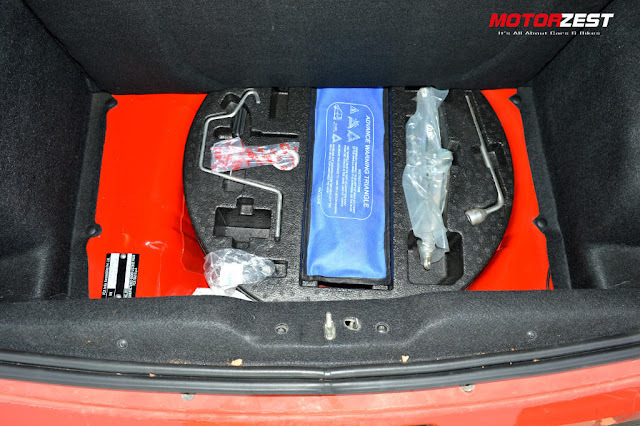 There is no difference in safety equipment between the regular Avventura and the one powered by Abarth. It comes with two airbags in the front with early crash sensors. No airbags to protect the rear passengers. To prevent tyre lock and skid during hard braking or braking on wet/slippery surface it come with ABS with EBD. 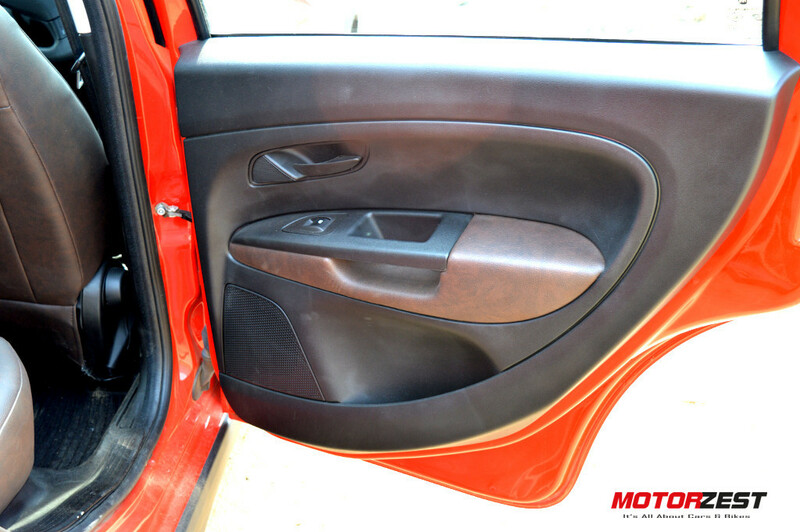 Other safety features include seat-belts for all 5 passengers, front and rear fog lamps and Fire Prevention System. The absence of Traction Control System (TCS) is clearly felt. The car would have performed better during hard acceleration and tricky road conditions if TCS was present. The Abarth tuned 140-hp engine just completely transforms the Fiat Avventura from a decent crossover to a powerful fuel-hungry sports machine. 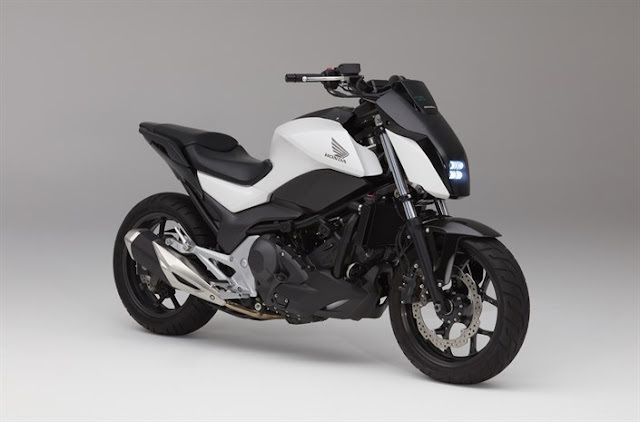 Priced at just INR 9,49,999 it is a steal for those who seek a combination of raw power, excellent comfort & ride quality and some off-road capabilities. If you are looking for a fuel-efficient ultra-convenient touring machine, this is not for you!